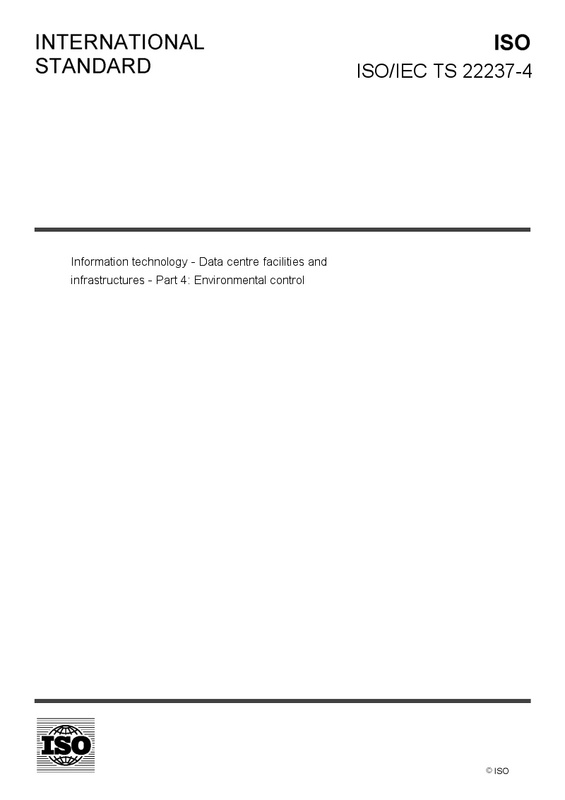 ISO/IEC TS 22237-4:2018 addresses environmental control within data centres based upon the criteria and classifications for availability, security and energy efficiency enablement within ISO/IEC TS 22237‑1. ISO/IEC TS 22237-4:2018 specifies requirements and recommendations for the following: a) temperature control; b) fluid movement control; c) relative humidity control; d) particulate control; e) vibration; f) floor layout and equipment locations; g) energy saving practices; h) physical security of environmental control systems. Issues related to electromagnetic environment can be found in ISO/IEC TS 22237‑6.